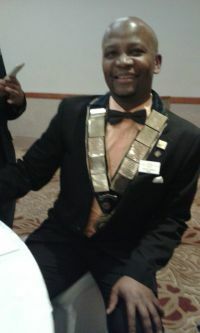 Welcome to the website of The Rotary Club of Cape Town. Chartered in April 1925, we are the second oldest Rotary Club in South Africa and the ‘Mother club’ of District 9350. Our district includes the Western and Southern Cape, eastward to Plettenberg Bay and up the West coast of South Africa to include Namibia and Angola. There are over 60 clubs in the district. The Rotary Club of Cape Town has been involved in the formation of a number of these clubs. Our club welcomes visitors and has a regular programme of interesting and challenging speakers. 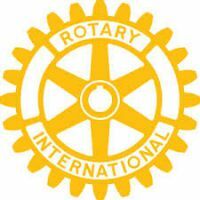 Please make contact with us if you would like to know more about Rotary or would like to visit the Club. The meeting cost is R30.00 per evening. Drinks are available from the bar. A light meal is served. Costs according to choice of meal. "Rotary takes ordinary people and gives them extraordinary opportunities to do more with their lives than they ever thought possible." Rotary is an organisation of business and community leaders who volunteer their time, skills and knowledge to help others in their community and throughout the world. Second. High ethical standards in business and professions; the recognition of the worthiness of all useful occupations; and the dignifying of each Rotarian's occupation as an opportunity to serve society. Third. The application of the ideal of service in each Rotarian's personal, business and community life. HOW AND WHERE DID THIS MOVEMENT START? The first service club was the Rotary Club of Chicago, Illinois, USA. The club was formed on 23 February 1905 by lawyer Paul P. Harris and three friends - a merchant banker, a coal dealer and a mining engineer. Harris wanted to recapture the feeling of fellowship he had experienced amongst the business people in the small town in which he had grown up. The name "Rotary" came from the early practice of rotating meetings among member offices. Rotary is non-religious, non-governmental and open to all races, cultures and creeds. Currently there are some 1.2 million men and women belonging to over 29 500 clubs in virtually every nation of the world. DO ROTARIANS FOLLOW A CODE OF ETHICS? A: Is it the truth? B: Is it fair to all concerned? C: Will it build goodwill and better friendships? D: Will it be beneficial to all concerned? HOW CAN I BECOME A ROTARIAN? Membership is by invitation; in other words, an established Rotarian recognises your worth and standing in the business community. He or she puts your name forward (also known as your sponsor) and you are then invited to join the Rotary Club by the members. WHERE DOES THIS LEAVE MY SPOUSE AND MY CHILDREN AND HOW CAN THEY BECOME INVOLVED? Participation by the family is encouraged, and they are included in many of the club's activities. Children can join the Interact club, a junior Rotary movement established in certain schools. Rotaract caters for young professionals between 18 and 30 years old. Short or long-term Youth exchange programmes are avalable to high school learners. Rotary Foundation's Ambassadorial scholarships programme is the world's largest privately funded international scholarships programme. Rotarians meet weekly. There are Clubs that meet in the morning before work, at lunchtimes or in the early evening. The meetings last an hour, where either Rotary business is discussed or fascinating speakers are invited. The main thrust though, is fellowship and networking. HOW WILL I SERVE THROUGH ROTARY? As there are four Avenues of Service in Rotary - Community Service, Vocational Service, International Service and Club Service - you will be offered the line of service which suits your skills and experience. WHAT OPPORTUNITIES CAN ROTARY OFFER ME? You will meet like minded people from all corners of the world. You are welcomed as a member of the Rotary Family at any Club in the world. You will gain a sense of accomplishment from working with your peers on a variety of projects. You will develop extra skills that you can apply in the workplace. Being together with other Rotarians in a relaxed atmosphere, sharing problems and spending time on outings relieves stress. Rotary becomes a lifestyle. These include: the feeding and clothing of the homeless; youth development; environmental issues; provision of homes for abused and abandoned children; combating drug abuse; prevention of disease, support of the elderly and physically disabled persons; promotion of education and literacy. Contact the nearest Rotary Club in your area or contact the District 9350 office.